The generally accepted definitions of acids and bases together with the generalized definition for the solvent system introduced by the author for the description of both molecular and ionic solvents are discussed. 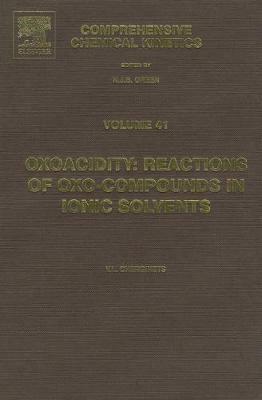 The oxobasicity index introduced as a measure of relative oxoacidic properties of ionic melts (pIL) and methods of its determination are presented. Moreover, the oxoacidity scales of ionic melts based on alkali metal halides at different temperatures are constructed. The sequential addition method (SAM), proposed by the author to investigate the effect of oxide particle size on oxide solubilities is presented. This book is meant for specialists developing theoretical and applied aspects of molten salt chemistry, acid-base theories and solubility phenomena. It will also be useful for those chemists who wish to extend their knowledge of physical and solution chemistry.